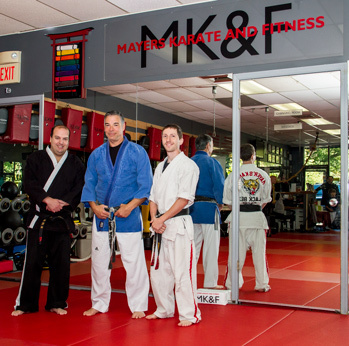 Mayer's Karate & Fitness has been instructing Martial Arts and Personal Fitness training in Northern NJ for the past 35 years. Our "success is measured by the success of every single individual who enters our facility. Thousands of our young Martial Arts students are now living successful lives and achieving the goals which were set together in years past. We have had countless opportunities to lead individual towards healthier life styles through our Personal Training and Ideal Protein Weight Loss Program. Our individual achievements as instructors pale in comparison to being able to transform a struggling child, or an adult struggling with conditioning or health issues. It has been a privilege to have been able to positively touch and improve the lives of hundreds of children who have been diagnosed with moderate to severe developmental issues. Mayer's has been instructing children with special needs for over 10 years. In 2016 we promoted our first 5 students to Black Belt in this program. Mayer began his Martial Arts training in Wing Chun at the age of 17. While attending William Paterson Collage in 1978 he trained in Gojo Ryu with Dr. Bell. Mr. Mayer then began training under Master Thomas Phelan from Bergenfield, NJ, and received his Black Belt in Tae Kwon Do Moo Duk Kwan in 1984. Shortly after receiving his black belt Mr. Mayer developed a passion for instructing Martial Arts and originated his first Martial Arts program at the Elmwood Park Athletic Club where he continued instructing for approximately 10 years. Mr. Mayer began training employees on site at Warner Lambert, Nabisco and other area corporations. Mr. Mayer has had the opportunity to train with some of the area's great instructors including Sensei Joe Sierra Desy Rye JuJutsu, Sensei Albert Casale Goju Karate, Instructor Carl Massaro Brazilian Jiu-Jitsu and John Finn Brazilian Jiu-Jitsu. Mr. Mayer opened his current Martial Arts location in 1994 in North Haledon NJ and includes in his curriculum the knowledge of these great instructors. He has mentored and graduated hundreds of students to the level of black belt. 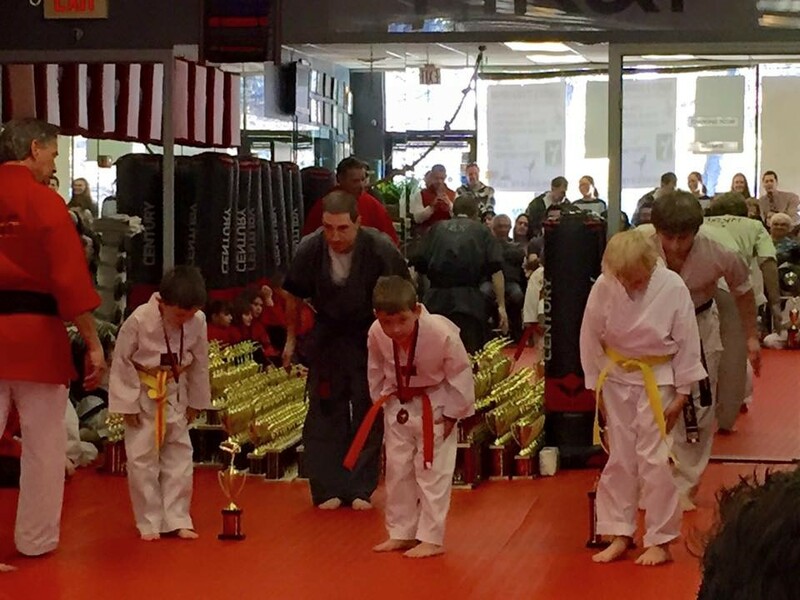 Through a formalized leadership and character development program offered at Mayer's Karate a large percentage of students are living extremely successful lives. 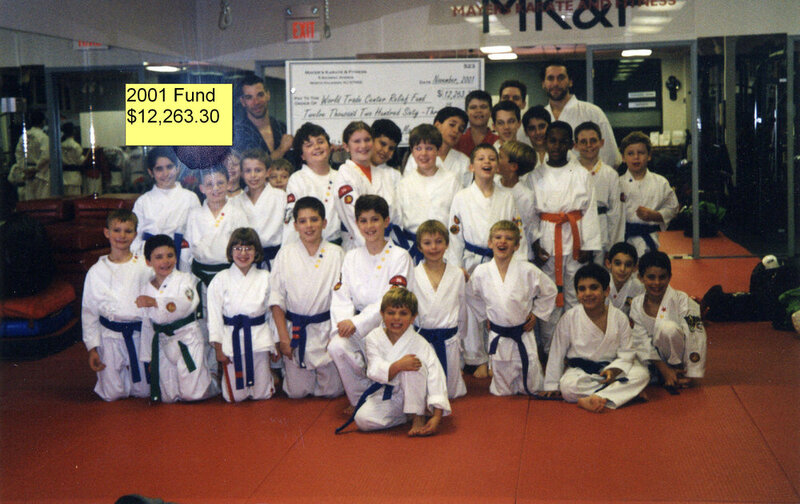 In 2003, Mr. Mayer developed the area's first Special Needs Karate program specifically designed for students with such diverse disabilities including Autism. we have touched the lives of hundreds of special needs children in the Mayer's Special Needs Karate Program with the help of Specialist David Harris, Instructor Daniel Scielzo, and Instructor Anthony Mignogni. In 2015 the first 5 students were promoted to black belt. Many Area YMCA'S and Camps call on Mayer's Karate to run their Martial Arts programs due to the professionalism of their programs and instructors. Mr. Mayer continues to train with one of Northern NJ top Ju-Jitsu and Self Defense Instructors, Mr. Richard Faustini. Mr. Faustini has been involved with security details throughout the tri-state area and shares his personal protection and advanced self defense knowledge with Mr. Mayer. Mr. Mayer's philosophy regarding Martial Arts training. "Always remain a student and keep learning". Pamela Mayer is the founding member of the Mayer’s Fitness & Health Team, having 35 years in the health and fitness industry. Pamela makes sure client goals are respected and achieved. The instruction at Mayer’s Fitness is always highly creative and challenging, making the experience fun and effective. Pamela introduced The Ideal Protein Diet 8 years ago and has had tremendous success with All Fitness Clients utilizing the Ideal Protein Diet in conjunction with Training in finding what was under all the fitness exercise they had endured. Ideal Protein is rated One of The Years Top Diets by ~ Diets in Review and Shape Magazine. Ideal Protein is a medical Grade 4 Phase Diet with weekly coaching and support. Mayer’s Fitness is an Authorized Ideal Protein Clinic with Certified Coaches on Staff. Pamela continues to attend an extensive amount of educational seminars to enrich her knowledge.Staying ahead of the curve is Pamela’s philosophy. Daniel has been training at Mayer's Karate and Fitness for 25 years. At the age of 16, he attained his black belt under Sensei Mark Mayer and now holds a 6th Degree Black belt in the art of Tae Kwon Do Moo Duk Kwan under the continued tutelage of Mr Mayer. He also holds a blue belt in the art of Tsugiashi Do Jujitsu under Sensei Mike Wilson, has trained in Hapkido under Sensei Reggie Trinidad, and Brazilian Jujitsu under Sensei Carl Massaro and Sensei John Finn. With 15 years of teaching under his belt, Mr Scielzo is the head instructor at the main dojo in North Haledon. He also teaches and oversees classes at the Wyckoff YMCA and Wayne YMCA, and has instructed classes at the Gerard Berman Day School in Oakland, the High Mountain Road School, and the Woodside School in Franklin Lakes. He has been involved in teaching self defense seminars for Girl Scout troops and is actively involved in the Leadership Training at the dojo. His knowledge of martial arts extends into traditional weapons training as well, including the Bo Staff, Eskrima Sticks, Tonfa, Nunchaku and Katana. 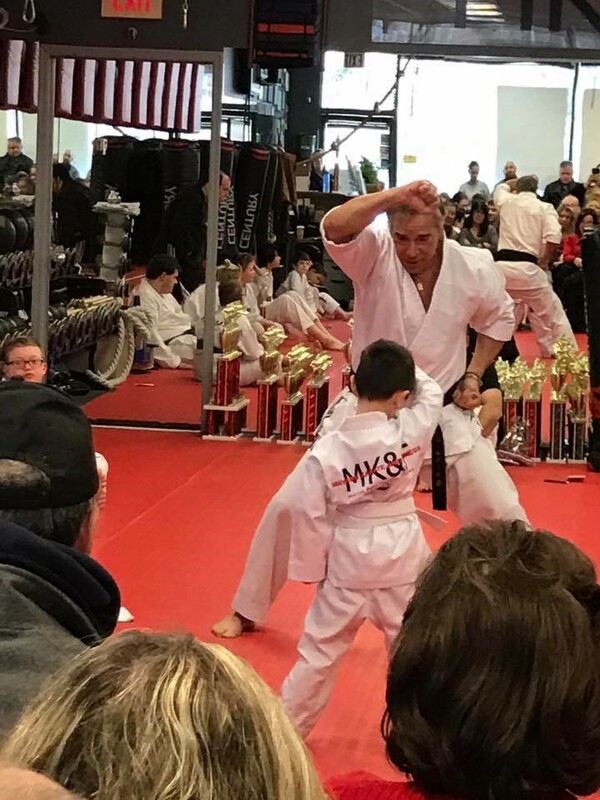 While always a student of the martial arts, Mr. Scielzo actively helps out with Mayer's Karate's Special Needs classes under the instruction of Sensei David Harris. Mr. Scielzo has a deep passion for tradition and loves everything having to do with martial arts. Martial Arts Experience: Over 25 years. Mr. David Harris graduated from William Paterson University with a Bachelor of Arts Degree in Special Education, May 2004. Since 2004, he has been a special education teacher throughout Northern New Jersey, and has experience with a wide variety of classroom settings. During his time teaching, he earned a Masters of Arts Degree in Educational Leadership from Montclair State University, January 2011. Also, along with Mr. Mayer, he was instrumental with creating the first special needs martial arts program in 2006, and is now currently the director of the program. He brought his passion of special education teaching to the dojo. Mr. Harris is a wonderful and loving instructor. Many families have seen sensational improvements in their children's abilities due to Mr. Harris's gift of patience and motivational instruction. • Private Training for Adults as well as children. • Teaching Karate classes at the Wyckoff YMCA. • Has helped teaching Special Needs Karate. • Teaches all age groups for karate classes. • Have been with the school since the year 2000 as a student and received my black belt in 2011, and then my second degree in 2015. Renee LeBental, owner of Healing Therapies since 1999, has been a Therapeutic Massage Therapist for 24 years with the goal of helping her clients to heal and live as pain free as possible. She has studied many modalities, from standard Swedish method to Deep Tissue, Trigger Point therapy, Neuromuscular therapy, Sports Massage and Myofascial Release to name a few. Many years ago becoming a Reiki Master Level practitioner as well as studying with a Native American Medicine Man. Her 24 years of experience working as a state and nationally certified, then licensed Massage therapist helped hone her skills. If you are plagued by migraines the specialized treatment she has developed will help.If there is a problem with sports performance, the deep tissue and stretching techniques will benefit you. If you are having problems with stress and/or anxiety the Reiki and Native American techniques can help. Renee's specialties include trigger point therapy for migraines, deep tissue and/or Myofascial release for faschia and muscle spasm problems, Stretching, and a Special combination of east/west approach for stress and anxiety. Jacquelyn is acting Director of Mayer’s Personal Training Department, Fitness Classes and Master Coach for our Ideal Protein Protocol Diet. Jacquelyn has extensive knowledge as a Certified Personal Trainer, and B.A. Degree, is known for her eclectic approach to fun, and result driven workouts; contoured to the specific needs of each individual client. Her eleven years as a Personal Trainer has awarded her the ability to guide clients to succeed, and reach their goals. Working one on one with each client, in regards to their nutrition and fitness, has been proven successful! Hello, my name is Mafalda Rakowsky, I am an enthusiastic, caring, determined and very driven person! I have been involved in the Fitness and Ballet industry for over 30 years. I started my career as a professional ballet dancer and instructor when I was 16 years old. I trained Classical Ballet for 9 years in one of Brazil’s most prestigious ballet schools, The Escola Municipal de Ballet Sao Paulo and at the age of 18 I opened my first Dance and Fitness studio in Sao Paulo with an enrollment of over 100 students! When I moved to the USA in 2002 I expanded my passion for Ballet into the fitness world and become a AFAA Personal Trainer, Group Fitness Instructor and Zumba Instructor and successfully worked at Minerals Sports club for over 10 years as a Personal Trainer, Adult Group Fitness Instructor and Kids Ballet Instructor. I absolutely LOVE sharing my passion and expertise for Fitness and Ballet with adults and children and help them achieve their goals and I am very excited about join Mayer’s!!! Mayer's Karate & Fitness is Strongly Tied into our local communities. Mayer's instructs Martial Arts programs at the Wyckoff and Wayne YMCA'S. We have also instructed at many private and local grade schools. In past summers, Mayer's has instructed classes at Spring Lake Day Camp and Camp Veritans. We have instructed Self Defense seminars for local corporations and local woman's groups. 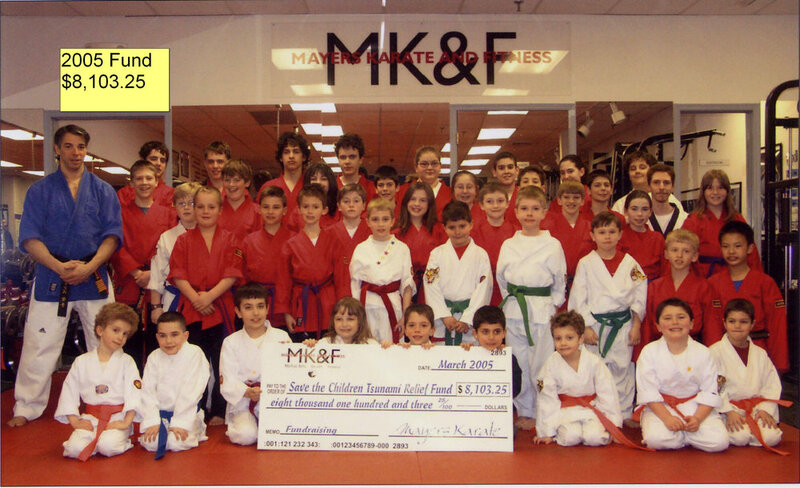 Mayer's Karate & Fitness is involved with Local and National Charities. Mayer's has raised thousands of dollars for Iocal Education Foundations and Various local and National Charities. We have raised funds for local children afflicted with illnesses and charities such as the Reed Academy Building Fund, The World Trade Center Relief Fund, and Relief Funds for Tsunami Victims in Tai Land. Powered by Arkham Media L.L.C.